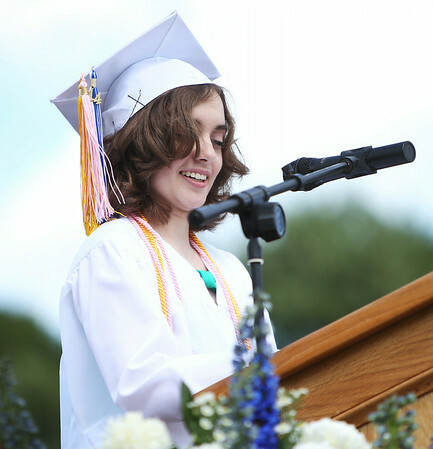 Danvers High School Salutatorian Sabrina Silva delivers her address "Oh, The Places You'll Go" during graduation on Saturday afternoon. DAVID LE/Staff photo. 6/7/14.